Change the entry http “127.0.0.1” 7777 to either http “” 7777 or http <SERVER-IP> 7777. In …\httpd\app\etc\config.php, the entry define(‘CFG_PALO_HOST’, ‘127.0.0.1’) needs to be changed to the Server IP used in palo.ini. In …\core\palo_config.xml, the entry <host>127.0.0.1</host> needs to be changed to the Server IP used in palo.ini. Change the port entry http 127.0.0.1 7777 to the new port. and in …\core\palo_config.xml for the entry <port>7777</port>. The Jedox services need to be restarted after making these changes in order to apply these settings. You can make these settings if you run Jedox on-premise, but they must not be changed in a Jedox Cloud environment. These changes are available for Jedox Web Connections Manager if the server IP is hard-coded in palo.ini as the only allowed IP from which other connections can connect to the In-Memory DB. If you use the Excel Add-in, make sure you set the connection to http "" 7777 to make sure that all the users of the Excel Add-in can connect to the In-Memory DB. Note: it is recommended to check the settings and ensure that the firewall is configured to let these ports communicate outside the server. This must be ensured when a connection from the outside is made to the server, either from Excel Add-in or another Jedox Server to the Jedox In-Memory DB. 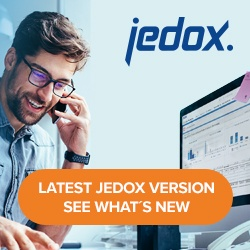 For more information on how to use the ports, see Jedox Web Connections. Jedox In-Memory DB requests can be canceled in the event of a web services shutdown after a determined time period, and client libraries can receive notification. After the defined timeout period, all active In-Memory DB requests will be cancelled. The timeout period is defined with a modification to palo_config.xml.